As part of the contract review, we examine each line item of a property’s commodity contract to eliminate or reduce expensive premiums and ensure we receive the best terms, conditions, and rates. 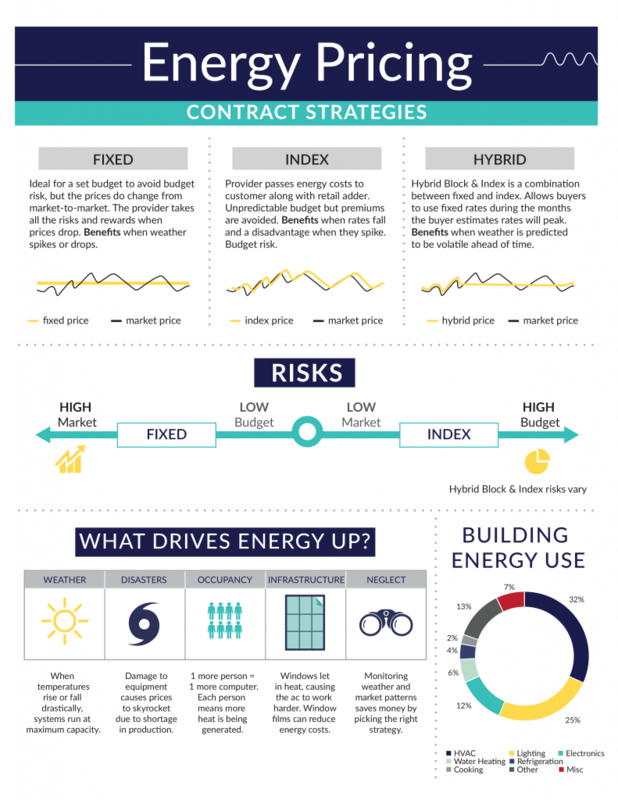 Our infographic below explains the BEST team’s energy pricing contract strategies. 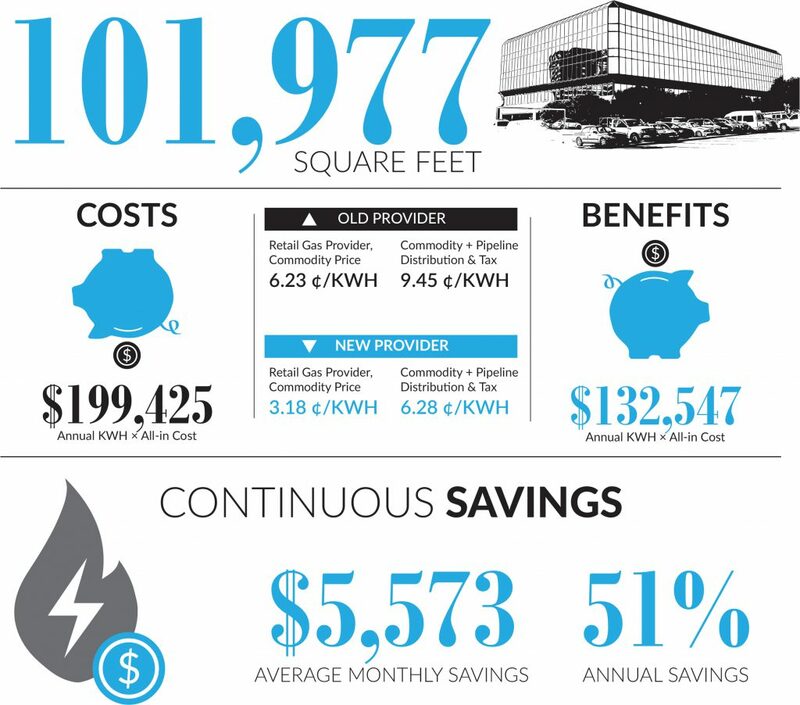 We take advantage of index pricing: electricity and gas rates that vary depending on the market. Boxer Property has negotiated a set of Master Service Agreements (MSA) for electric service in selected de-regulated markets that allow Boxer and the properties they manage to enjoy a much lower price for electricity. The MSA uses a variable, market-based model that yields the best price when the other regulated billing components are added. History has proven this a very successful pricing strategy even though it is subject to price variability; the buyer assumes some risk if the market index trends higher for brief periods in response to weather, market or other concerns. Although a higher risk than the fixed-price alternative, it has proven to pay off in the long run. When the property saves money on utility costs, those savings are put back into the property. 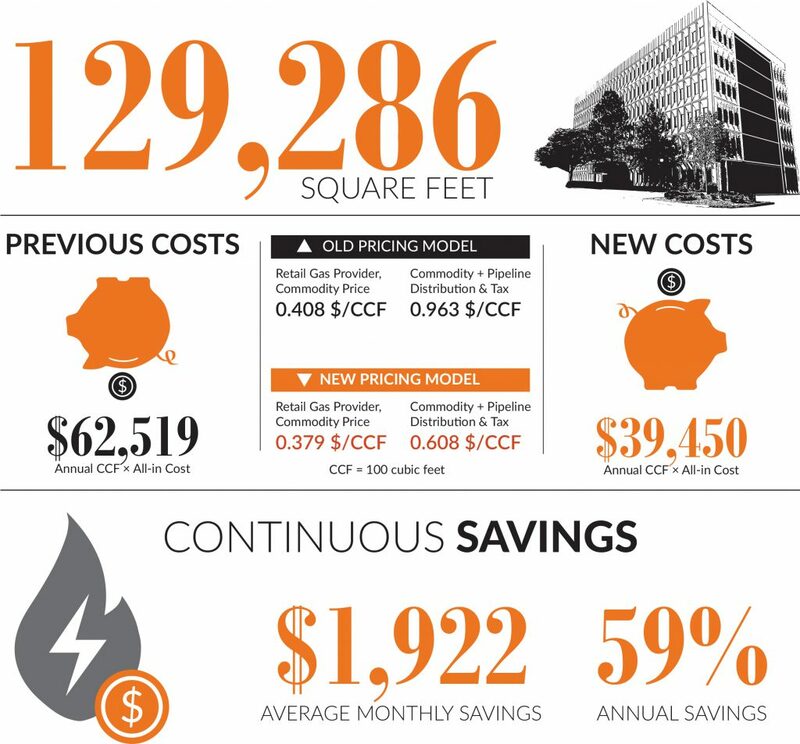 Project Notes: 13140 Coit Rd in Dallas, TX was locked into a fixed rate that would terminate in six months. Early termination was not allowed by the contract. New contract commodity price based on Market Index + fixed Retail Adder. Commodity price change yielded 49% savings. Project Notes: 6795-6825 E. Tennessee Ave, also known as One and Two Monaco Park, was locked into the provider’s old pricing model. A switch to a new provider and a new model yielded marked savings. New provider delivered more flexible terms and conditions. Commodity price change yielded 7% savings.